We offer the two best home replacement siding products in Colorado Springs, HardiePlank Cement Siding and LP SmartSide Trim & Siding. Heart House specializes in two home siding products: HardiePlank Cement Siding and LP® SmartSide® Trim & Siding. The new siding product that is sweeping the nation. James Hardie is engineered for climate, formulated especially for your region's climate. Click here to view detailed info about James Hardie products. LP® SmartSide® Trim & Siding offers the warmth and beauty of traditional wood with the durability of treated engineered wood. LP SmartSide offers a complete line of high-performance trim and siding products to complement almost any building style. All LP SmartSide products feature innovative four-component SmartGuard® manufacturing process for strength against harsh weather and to resist fungal decay and termites. Rich cedar grain texture or smooth finish. Longer lengths may reduce seams. Unmatched consistency for curb appeal. LP lap siding resists hail and impact damage. 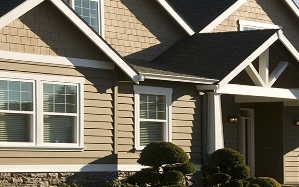 Have questions about which siding is best for your home? 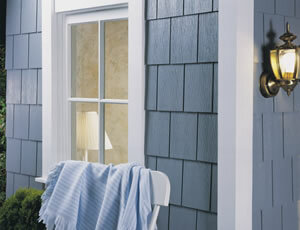 Heart House specialists can help you decide which siding to choose.